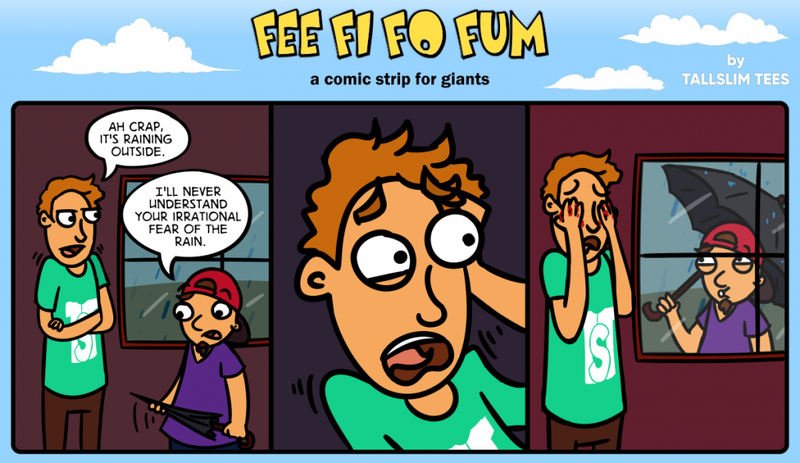 TALL GUY: Ah crap, it’s raining outside. Tall guy has a face of horror. Short guy is seen walking outside with open umbrella whistling while tall guy is covering his eyes which are now bleeding courtesy of the umbrella.